Mining and metals companies will need to automate aspects of their tax compliance functions to meet the increasing demands for data disclosure and to have a single source of information. Trusted tax advisor focused on the mining and metals industry. Corporate strategist with experience across the globe. Team leader passionate about developing a business understanding. Andrew is the EY Global Mining and Metals Tax Sector Leader with more than 25 years’ experience providing tax advice to corporates in the mining, metals, energy and utilities sector. He has worked with many mining and energy companies on their corporate and international tax affairs to provide global approaches in international transactions and domestic tax issues. Additionally, Andrew is now leading EY Global Compliance & Reporting services. His clients describe him as understanding the industry they operate in and being focused on guiding them to strong commercial outcomes. He has a strong internal network both locally and globally, which allows him to bring insights and experience from around the world into his clients. Andrew has worked across multiple jurisdictions, including Australia, the US, Canada, South America and Europe. He earned a bachelor’s degree in Commerce from the University of Melbourne. Andrew uses his strong people management skills to create and lead collaborative, diverse teams. 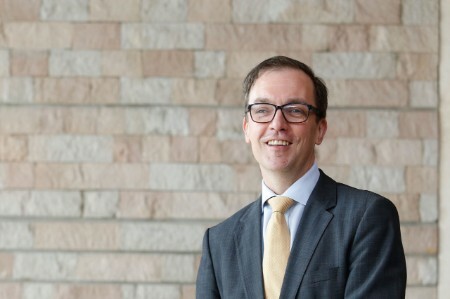 He is a leader across EY global mining and metals tax services – guiding the team’s approach in helping clients through tax transformation and transparency best practices.Clients hold Andrew in high regard for his ability to communicate complex issues in a clear and commercially focused way and to adapt his style to the different audiences he addresses within an organization. With his ability to lead collaborative teams and help clients understand strong approaches to navigating business hurdles, Andrew is helping build a better working world.